Here we are back again at another selection of brands that have one main thing in common: they were founded in the same country. After we took a quick tour through some Scandinavian brands from Denmark, Norway and Sweden, now it’s time for some German brands. If there is one thing Germany is most renowned for, is its hardworking people and the quality of anything they present to the world. Some of the best worldwide brands were founded in Germany and we have chosen several of them for today’s selection. 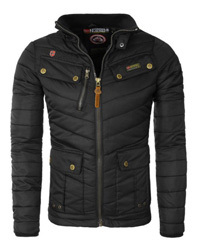 We have picked 8 brands, with the main focus being on sportswear and jackets, as per usual. We are certain you will recognize most of these, or maybe even all of them, as they are quite reputable not only within Germany, but internationally as well. We will begin this selection with one of the most popular and beloved sports brands in the whole world. Yes, Adidas! Its story begins in July of 1924 as a brotherly-owned company. It wasn’t until August of 1949 that the official name Adidas was given to the brand by Adolf Dassler, after a dispute between the brothers, where they decided to go separate ways. Most people know the story by now and they also know that Rudolf Dassler, Adolf’s brother, went on to establish Puma. Adidas has an extensive product range, which continues to expand as time goes by. Any sportswear or outdoor wear that you might need, you can easily find it within the brand, be it jackets, trousers, shoes, accessories, what have you, it’s all there. A very important thing to note is that despite being such a famous brand, there are very affordable options that most people can enjoy, without having to spend a fortune for lightweight outdoor clothing. Of course we would follow it up with Puma, which was established in 1948 by Rudolf Dassler, as you know very well by now. Much like Adidas, Puma is worldwide and beloved by many athletes. This brand designs and manufactures a wide range of sports apparel, footwear and accessories, with extensive options for each category. Their sportswear is all high functioning, designed for providing the best performance you can get out of sports jackets, athletic shoes, trouser and accessories. It’s because of this high performance of their products that they are a bit pricier than typical, especially the footwear. However, if you tend to turn to sports brands such as Puma or Adidas you know that you are getting some of the best sportswear so it fully justifies the price, in our opinion. A previously featured brand, Jack Wolfskin was founded in 1981 and is now one of the biggest supplier of outdoor clothing and gear. 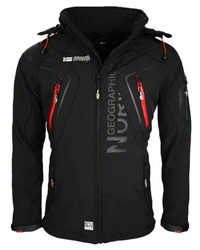 They manufacture not solely outdoor jackets, trousers, tops and footwear, but also many equipment for outdoor activities. You can find tents, rucksacks and also sleeping bags, so everything necessary for your next outdoor adventure out in nature is just a few clicks away. 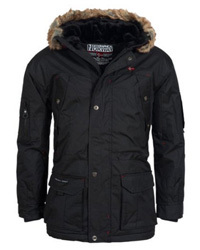 Often considered high-end due to the high prices of their products, Jack Wolfskin definitely befits the “you get what you pay for” rule, as their products are quite raved about online due to the great quality of the design, materials and also manufacture. 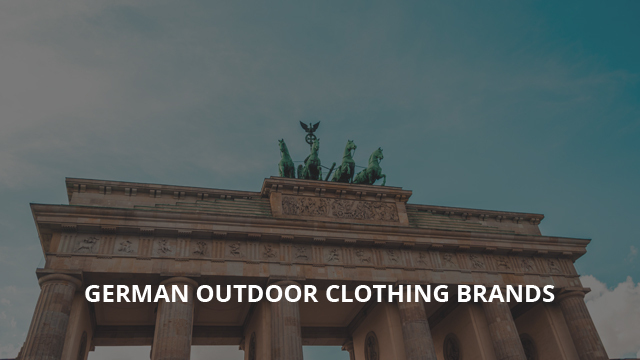 We could not have a German brand selection without one of the staple brands of German fashion, Hugo Boss. Renowned worldwide for its luxury products, which include a vast number of different categories, you can find not only sportswear but casual and business attires as well. Whether you are looking for a sports jacket and trousers, or you need the suit for that business meeting on Monday, there is something that will suit your taste and style for sure. Established in 1924 by Hugo Ferdinand Boss, it is well-known that this is a brand that provided the suits for the Nazi Party for quite some time. It was only after the death of its founder and after the war had ended that Hugo Boss, the brand, started to branch out into men’s suits and later design women’s clothing, as well as designs for children. Style and class is the common theme in all of this brand’s designs and we believe that’s exactly what has made it remain a beloved brand even nearly a century after it was founded. Next it’s Erima, which is one of the oldest outwear brands, founded in the 1900s as a company that made knitted clothing for gymnasts, fencers and athletes. They later become renowned and even make history as the supplier of sportswear for Olympic athletes from 1960 till 1972. Nowadays you can find numerous different categories and collections within their online store, which are suitable for different sports such as volleyball, tennis, running, football and other active wear clothing, while also providing options for men, women and kids. Not just that, but accessories, bags, balls and other small outerwear like caps and socks are also available in numerous designs. A brand for men and women who work in challenging and physically-demanding jobs, that require quality clothing, which not only feels comfortable, but also keeps them protected, Engelbert Strauss was founded as an independent and family-run company and it remains so to this day. They are one of the leading brands for workwear and deservingly so, as all of their products are not only well-designed, but well-made and meticulously checked to guarantee that you are getting exactly what you expect, a great product. Their product range includes light wear such as T-shirts and professional shirts, to fully-protective workwear clothing and shoes that guarantee your safety, whether you will be working indoor or outdoor. Wellensteyn is another previously featured brand in one of our selections. It was founded around 60 years ago and saw a quick rise in popularity, especially among port workers that worked in the Baltic Sea. 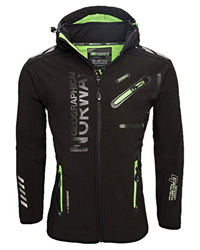 In their website you can find an incredibly vast collection of different outdoor clothing, especially jackets, which come in numerous designs and range from lightweight ones, to transition jackets and all the way to down-insulated ones for harsh temperatures. There is also a summer collection, with mostly jackets, pants and shoes for milder temperatures, with a main focus on workwear, but with casual and even sports designs as well. There are also accessories available and their products include options for women, kids and men. A brand that has something for everyone, regardless of whether you are an athlete or just someone who enjoys the outdoors, Bogner‘s history begins in 1932 with Willy Bogner Sr. a professional skier who started a small business that imported ski equipment and knit materials. Nowadays they are not only continuously developing great sportswear, but have expanded their products into more casual and formal apparel designs. From jeans to coats, whether you are a professional athlete or just want a stylish outfit for a casual outing with friends, everything is available from Bogner. They use some of the finest materials in their clothing and work on creating trendy and modern designs, which is what has made the company prosper and be renowned overseas as well. There are collections for men and women, which include accessories and shoes, too. Previous Article← Fjällräven vs The North Face: Which Brand Is Better?